Ruff photo by Shirley Devan. Birders and waterfowl hunters will be excited to know that there is some great habitat work going on at Hog Island Wildlife Management Area (WMA) in Surry County. In conjunction with Duck’s Unlimited, DGIF is renovating the impoundments by replacing aging water control structures and dredging silt out of canals. Water control structures allow us to raise and lower water levels, which helps us provide a variety of habitats to serve waterfowl, shorebirds, and other birds during multiple stages of their life cycle, including migration, overwintering and even breeding. Manipulating water levels allows us to encourage the growth of native, high quality food plants like three-square rush, smartweeds, sedges and Walter’s millet. These plants attract invertebrates like snails, small crustaceans, and a variety of aquatic insects that are critical food sources for female ducks preparing to move north to breeding grounds. Ruff photo by Allen Bryan. In order to complete the renovation project, we have drawn the water down at Hog Island WMA, which has created extension mudflats. Mudflats are a critical resource for migrating shorebirds like greater and lesser yellowlegs, sandpipers and short-billed dowitchers. They are so enticing to shorebirds that they can attract birds from far and wide, like the recent visitor to Hog Island WMA, a ruff. Ruffs are a Eurasian sandpiper that occasionally strays into North America. 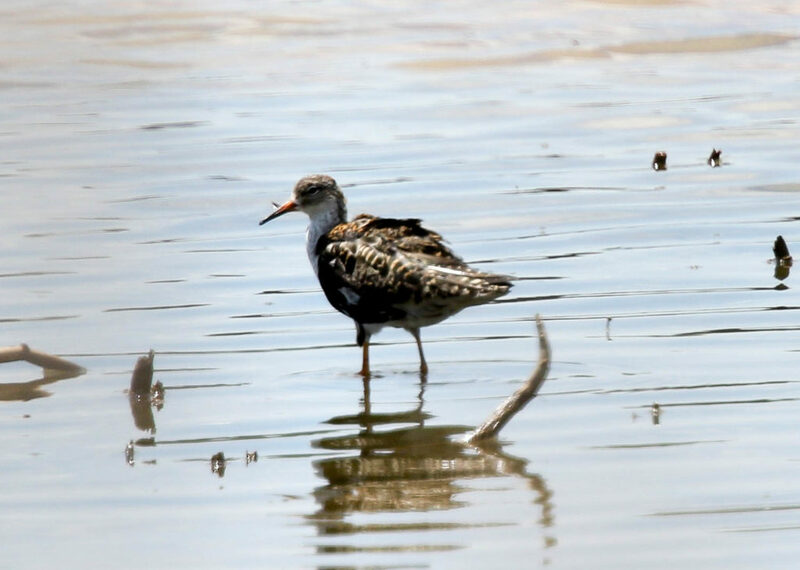 Sightings in coastal Virginia are rare–the last documentation of a ruff at Hog Island was in May of 1986. 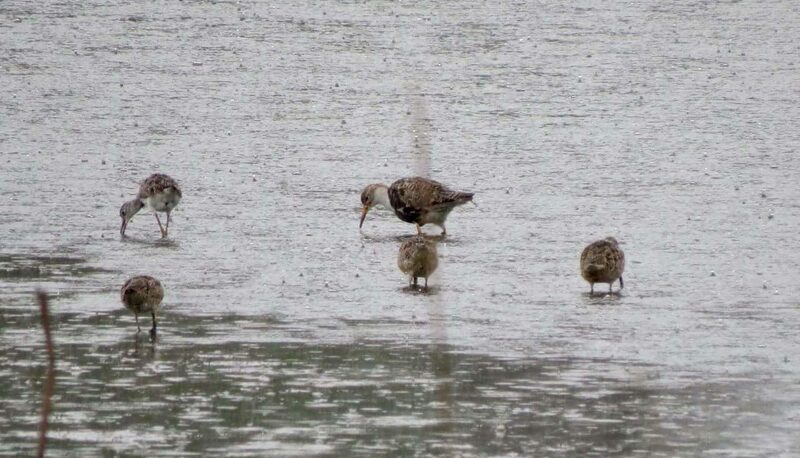 This most recent ruff was first spotted on Friday, July 20 by two early-rising birders. Since the birders reported their exciting observation to eBird, many other birders have been flocking to Hog Island WMA to catch a glimpse of this rarity. 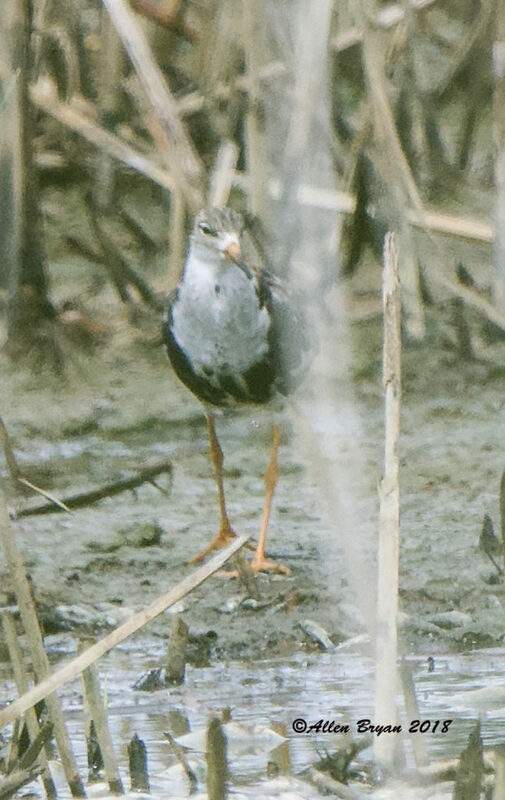 If you are interested in trying your luck at spotting the ruff or seeing any of the other shorebirds at Hog Island WMA, conditions should remain good while crews working on our habitat project continue to pump water out of the impoundments. Hog Island WMA is currently open seven days a week. An Access Permit or a current Virginia Hunting, Fishing or Boating License is required. Access Permits are available for purchase online or by calling 1-866-721-6911. The mudflats are located at the northern end of the property. If you decide to visit Hog Island WMA, please note that you will first need to pass through the Security Checkpoint for the Surry Power Plant–be sure to have a valid ID. Security personnel will need to check your vehicle as well. Wearing bug spray is recommended. While Hog Island WMA remains open during our renovation project, please be sure to give work crews plenty of space to safely do their work and pay attention to any “area closed” notices. Ruff photo by Keith Roberts.